Small Business Saturday falls on Nov. 24 this year. Perhaps ironically, this relatively new shopping holiday was started by a large corporation — American Express — in 2010. Since then, it’s been enthusiastically embraced by small business owners and communities as a way to encourage shoppers to “shop small” in support of local merchants. This year, shoppers in Centre County can find several organized events supporting shopping local on Small Business Saturday and beyond. An official Small Business Saturday event will run from 10 a.m. to 5 p.m. in downtown Bellefonte, sponsored by Downtown Bellefonte Inc. A welcome table will be set up at the Spring Creek Lofts on the corner of Water and High streets, where visitors can pick up a special Small Business Saturday tote bag and a scavenger hunt packet. To participate in the scavenger hunt, shoppers will receive a clue when they make a purchase at a participating shop. Once they collect five clues and solve the puzzle, they can turn in the packet at the welcome table for a chance to win one of three prize baskets made up of donations from local merchants. By a Thread Boutique, of Tyrone will have a pop-up shop by the welcome table, and many downtown businesses will be offering specials during the event. Alleycat Quiltworks will have a one-day only sale on fabrics, Jabebo Studio Store is holding a “buy two earrings, get a third pair free” sale, Big Spring Spirits will give customers a free warm mulled cider with a purchase and Cool Beans Coffee and Tea will be holding drawings for free prizes throughout the day. Other participants include, but are not limited to, Bella Vino Wine Bar, the Bellefonte Art Museum, Bone Bar and Boutique, Confer’s Jewelers, Co2, Dam Donuts, Good Intent Cider, Jake’s Cards and Games and Pappy Chuck’s Candy Shoppe. 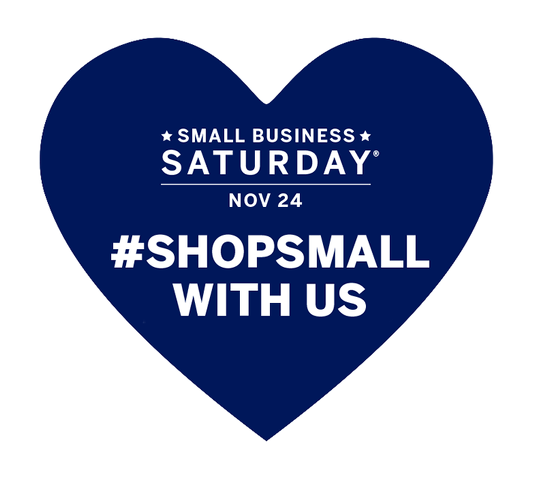 Shops around the State College area also will be participating in Small Business Saturday as well and Mayor Don Hahn declared Nov. 24 as Small Business Saturday in the borough, encouraging support for local businesses. See the Downtown State College Facebook event for participating businesses and specials. The second annual Shop Hop will take place on both Small Business Saturday and on Sunday, Nov. 25. Participating in this shopping event will be six stores: Stitch Your Art Out, 235 E. Pine Grove Road, Pine Grove Mills; A Basket Full, 121 E. Main St., Boalsburg; Emporium Market, Nittany Mall, State College; The Nittany Quill, 111 S. Fraser St., State College; Gallery Shop, 824 Pike St., Lemont; and Tait Farm, 179 Tait Road, Centre Hall. Shoppers can pick up a passport at any of the participating shops. If they get their passport stamped at each shop before the end of the day on Nov. 25, they can turn it in to be entered in a drawing for a $25 gift card from one of these stores, or a grand prize of a $25 gift card from each of them. “All of these stores feature good, ‘gifty’ items and they are all within driving distance to make this a fun day of shopping,” said Cynthia Spencer, event organizer and owner of Stitch Your Art Out. Spencer said that some of the shops are not normally open on Sunday, but because there is a home Penn State football game that could potentially interfere with Saturday shopping, all of the stores will be open both days for this event. In addition, some of the shops will feature promotional events and/or special discounts during the weekend. This shopping event is planned for Saturday, Dec. 1, rather than on Small Business Saturday. All of the storefronts will be decorated for the holidays, Brown Dog Catering will be selling soup and espressos and there will be various other stations selling hot beverages and other treats on the street. Santa will be posing for photos at New to You Resale Boutique from 11 a.m. to 1 p.m., and there will be a free showing of “The Star” at the Rowland Theatre at 1 p.m. Downtown merchants will be staying open until 6 p.m., closing just in time for the official tree lighting set for 6:30 p.m. Many merchants will be offering holiday deals, as well. If you want to get a jump on your local shopping, however, Thieves Market will be holding a special Small Business Saturday event on Nov. 24, offering discounts and a free tote and handmade gift to the first 100 customers. While shoppers will find some good deals in Millheim on Saturday, Nov. 24, such as the 50 percent-off sale at Penns Valley Jewelers and many small paintings and photographs under $150 at Green Drake Gallery, the official shopping event is Merry Millheim, taking place Friday, Nov. 30, and Saturday, Dec. 1. Millheim Small Engine will be giving customers a free pair of gloves just for stopping by, and the half-off sale will continue at Penns Valley Jewelers. The Handmade Holiday Market will take place at the Bremen Town Ballroom from 5 to 9 p.m. Friday and 10 a.m. to 4 p.m. Saturday. Green Drake Gallery will feature a kids’ Christmas jewelry-making workshop and a “100 under $100” art show reception. The event will also feature holiday activities like Christmas caroling, a tree lighting, a petting zoo and a free showing of “The Star” at Calvary Church. For a complete schedule of events, visit the Merry Millheim Facebook page. 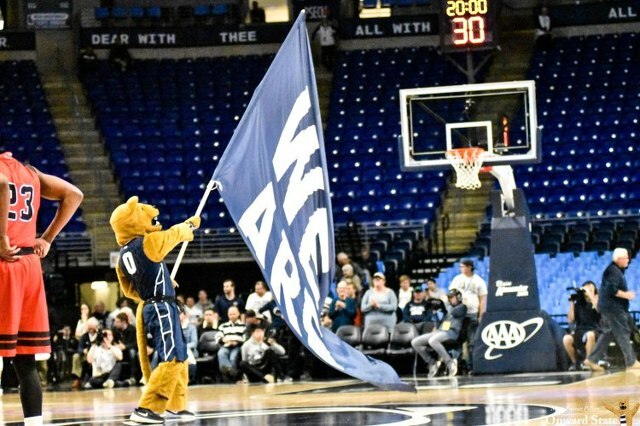 Penn State men’s basketball secured a commitment from three-star power forward Mikeal Brown-Jones on Thursday. The 6-foot-7 prospect from IMG Academy in Florida is the first verbal commitment to the team’s recruiting class of 2020. Brown-Jones is a Philadelphia native who had other offers from Villanova, Temple, Saint Joseph’s, and La Salle.